After a one week hiatus to allow for Cannes film fest activities, The Forgotten is back over at The Daily Notebook. 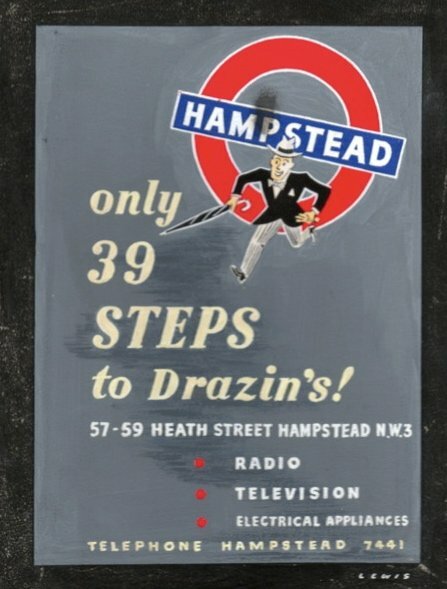 Our subject is MONSIEUR RIPOIS, whose 1950s London setting allowed for plenty of intriguing signage for me to note when I wasn’t staring in disbelief at the beauty of Natasha Parry and Gerard Philipe. 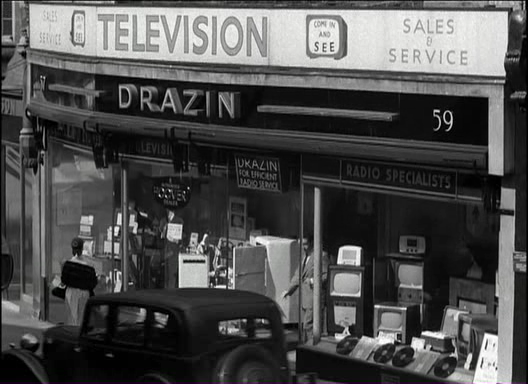 One particular image, a TV shop called Drazin’s, caused me to contact author Charles Drazin (In Search of The Third Man) on Facebook to ask if he was by any chance related to the proprietor. He was! The store was run by his grandfather, who ironically didn’t like films at all. Neat poster! That could almost be Alec Guinness.